It’s something you take for granted, something seemingly trivial, even mundane. 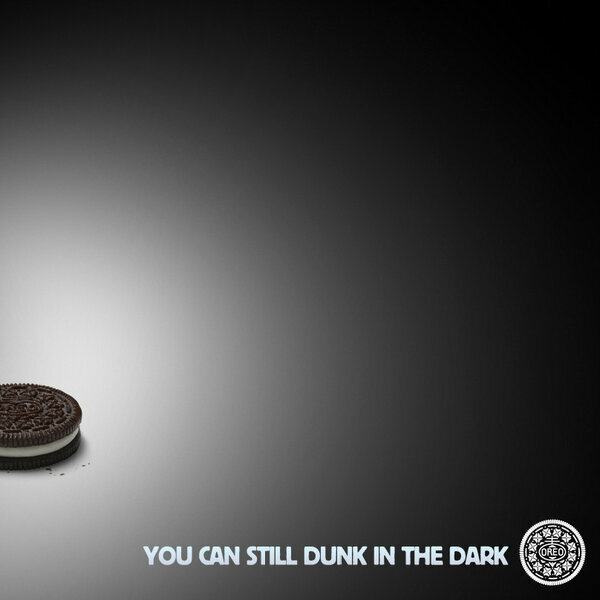 When executed thoughtfully, however, it makes a splash. It says, “This guy is sharp--I want to work with him!” What is this opportunity, obvious but overlooked? It’s the bookends of your emails: your address and signature block--often, the first and last thing your recipients will see. For better or worse, your email bookends are powerful purveyors of your brand. What are yours conveying about you? Rick goes on to offer some solid advice about what to do, and what not to do, when it comes to email. Along the way, he offers several great examples for us to emulate... or not. Among his nuggets of advice, he cautions against email addresses that will make it difficult for others to take you seriously. A funny nickname may sound great with your pals, but it will make you sound highly unprofessional if you are trying to land a job or win over a client for your small business. You never want your high-priced advertising campaigns to end up parodied in this manner on Saturday Night Live! Knowledge at Wharton has a good article about how these types of marketing campaigns can backfire for companies. Last week Chris Stevens, one of the Keurig co-founders, gave a speech at the Bryant University Collegiate Entrepreneurs Organization conference. 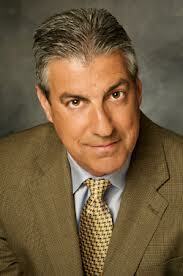 He offered a tremendous mix of practical advice and emotion-packed inspiration. Chris has a fascinating background. He played basketball at Notre Dame, worked at Proctor & Gamble and Anheuser Busch before joining with several others to make Keurig a resounding success. He currently serves as an adjunct faculty member at Notre Dame's Mendoza College of Business. He also still serves as VP of Corporate Relations at Keurig. Beyond his business accomplishments, Chris has done tremendous philanthropic work over the years. He's also faced more than his share of personal adversity, including the death of his wife and two brothers in 2004. Chris offered some terrific practical advice for students searching for jobs. He recommended that each student build a portfolio that they could take on job interviews. That portfolio should include examples of the type of work that the student has done. What projects have they completed at school or during an internship? What presentations have they made? Beyond simply putting the portfolio together, he recommended customizing it for the particular company at which a student was interviewing. He told students to put the company name and logo on the front of the portfolio, and even the name of the executive with whom he or she would be interviewing. Then they should offer to leave the portfolio with the interviewer. It makes great sense. Students (and all job applicants) need to be prepared to SHOW people what they have done, not just tell them about it. Mattel has chosen to tackle a very interesting problem with regard to its Hot Wheels line of toy cars, according to Business Week. Sales have been sluggish in recent years. The company believes that the lack of sales growth may be due to a "moms" problem. Specifically, Mattel believes that moms don't really appreciate why young boys like to play with cars, nor do they understand how boys play with them. According to Mattel Vice President Matt Peterson, "She doesn’t get why cars, engines, and all the shapes and crashing and smashing are so cool." On the other hand, Peterson argues that mothers do understand how to play with a Buzz Lightyear toy, because the type of play is somewhat similar to how they might have interacted with dolls as a young girl. The company chose to gather together a group of bloggers - specifically moms who wrote influential blogs read by fellow women with small children. Peterson conducted a lengthy discussion with the moms, to examine why they chose not to purchase cars for their sons... as well as to talk about why boys do like to play with cars. I have two reactions to this story. First, I'm not sure if Peterson's hypothesis is correct. Is his diagnosis of the sluggish sales of Hot Wheels correct? Does he really have a "moms" problem? Presumably, he has more data than provided in the article. Hopefully, he has explored alternative hypotheses as well. Second, a focus group might be helpful here, but Mattel will have to go well beyond a discussion such as this one to understand how to recharge sales for this product line. I would argue that they should consider two types of additional research. Mattel needs to find some other categories of toy, analogous to cars, that have achieved strong success with moms. Is there another category that might, at first, have been hard to understand for the typical mother, but in fact did achieve strong sales. Why did that product take off? What made moms purchase that product? Furthermore, Mattel needs to engage in some anthropological research. My wife plays cars a lot with my five-year old son. Mattel needs to understand how some moms do play cars with their sons. Does their play pattern differ from the way dads play cars with their kids? How might understanding that play pattern help drive more sales to mothers? Watching kids and moms at play will be helpful in answering these questions. Stanford Professor Baba Shiv and Columbia Professor Sheena Iyengar have conducted some interesting new research about consumer decision-making processes. They created a series of experiments to examine whether consumers were more satisfied when they examined all their options at the same time, versus looking at the options sequentially. Their experiments involved the purchase of products including wine, chocolate, and nail polish. The research findings showed that, "Sequential choosers were less satisfied with their chocolates than were participants in the simultaneous group. And, when offered the opportunity to switch to a different chocolate — a randomly selected one, they were told — more of the sequential choosers opted to do so, even though they knew virtually nothing about it." What explains the higher satisfaction on the part of those examining all their options at once? The researchers argue that hope and regret play a significant role. People in the sequential situation worry about possible future options (subsequent and unknown) that they may forgo by making a choice now. People don't seem to have that worry when they examine a wide array of alternatives simultaneously. Heineken - The Candidate - A Different Kind of Interview! The Wall Street Journal reports that OfficeMax and Office Depot are in advanced discussions regarding a potential merger. The article, by Anupreeta Das, Ryan Dezember, and Ann Zimmerman cites many of the benefits of the deal. For instance, the authors note that experts estimate roughly $500 million in synergies may emerge from the deal. The article also cites Staples founder Tom Stemberg, who says, ""This should have happened a long time ago. It's healthy for the industry. It takes out excess capacity.'' (note: I worked at Staples in the mid-1990s, when Stemberg served as CEO). I would agree that the merger will yield some significant cost synergies, provided merger integration is managed well (a major caveat). Moreover, the industry does have excess brick-and-mortar capacity. Online players such as Amazon have taken a significant bite out of the traditional office supply industry in recent years. The companies have closed some stores in response to the shift toward e-commerce, but more rationalization of the store base needs to occur. The article points out that many experts think the three major office supply retailers have not downsized their brick-and-mortar footprints fast enough. I do have some concerns though. I would ask the following question: Why will a merger drive out more excess store capacity than otherwise should have been eliminated by the companies individually? The answer: Perhaps the merger's promises of cost synergies will create the public accountability that will drive necessary rationalization. In other words, maybe you need the merger to push management to do what they otherwise have been slow to do. I also have a second question to pose: How about the issue of taking on the e-commerce challengers? Does the merger make these companies more formidable competitors relative to the Amazons of the world? Perhaps, but I'm not so sure. Again, the question for management is clear: Why will a merged entity do the things to be successful against online competitors that the two firms have not otherwise been able to do to this point? Finally, I would offer one other concern. In many industries, mergers that drive out excess capacity can help prop up prices. When excess capacity exists, price wars often occur as firms try to fill that capacity and cover fixed costs. However, in this industry, removing excess capacity may not yield major price gains. Why? The competitors setting the price level are not the brick-and-mortar players; Amazon and other e-commerce players are pushing down prices. That pressure won't change due to this merger. We have all watched the amazing story unfold on that Carnival cruise ship over the past few days. Overflowing toilets, irate customers, and an explosion of criticism via social media... Carnival executives have their hands full with this incident. Many people have been offering suggestions regarding the near term public relations strategy that Carnival should employ. I would like to offer one point that is a bit more long term in nature. Carnival has to conduct a highly transparent after-action review. I would recommend bringing in reputable outside experts to help conduct a review of safety and operational procedures. Moreover, Carnival needs a clear communication plan associated with that after-action review process. How will the various stakeholders be kept informed of the process and the findings? How will potential customers learn about the corrective actions that result from this lessons learned exercise? Having a transparent and legitimate/credible after-action review process will go a long way toward rebuilding the company's reputation. Yes, they can do some things in the short term to manage the public relations crisis. However, salvaging the brand in the long run requires a clear demonstration that the firm has done everything possible to insure that this type of incident does not happen again. Maker's Mark: Is Diluting the Boubon a Good Idea? In an interview Monday, Chairman Emeritus Bill Samuels Jr. said he failed to foresee a worldwide surge in demand for premium bourbon when he was still in charge of the brand about six years ago. As a result, Maker’s Mark is being diluted to 42 percent alcohol by volume, from 45 percent, so more of the whiskey can be bottled to meet demand. That’s a cut from 90 proof to 84 proof.“I was the forecaster in chief around here. ... I must have been asleep at the wheel,” Samuels said. Samuels and his son, Maker’s Mark Chief Operating Officer Rob Samuels, insist consumers won’t notice the change when the slightly weaker bourbon hits shelves in the next few weeks. Even Maker’s Mark’s professional taste testers couldn’t tell the difference, Rob Samuels said. Wow... as Dooley rightfully points out, why makes things worse by claiming that your loyal customers won't know the difference! Perhaps it is true, but should you really say that? The bigger question is whether Maker's Mark has put short term revenue and market share goals ahead of what is good for the brand in the long run. Does this move really fit with a company whose historic slogan was: "It tastes expensive... and is." How does a firm handle scarcity? Should it try to capitalize on the excitement and frenzy that scarcity can create, or should it move to rapidly expand supply? One other interesting note: Beam Spirits now owns Maker's Mark. Would the company have made the same move if it was privately held? Does being part of a publicly traded company put too much pressure on management to make up for this supply shortage? I take two key lessons away from this example. First, Lincoln appears to have led a decision-making process that most advisers felt was fair, i.e. he not only gave them voice, but made them feel that their views had been considered genuinely and thoughtfully. Second, Lincoln still gave them room to have input after he had made the final decision. However, he didn't give them an opportunity to undo the decision or revisit the choice. Instead, he brought them back into a dialogue about how to best implement his decision. It turns out that they had a good suggestion regarding the relationship between his political move and a battlefield victory in the late stages of the Civil War. Many leaders could use the time of announcing a decision to pivot the conversation with their team, away from WHETHER to do something to the issue of HOW to do it. In that way, you can give them voice once again, and you can make others truly own the implementation process. Triggers: Easily memorable information means it's top of mind and tip of the tongue. I'm really looking forward to reading the book. I'll put together another blog post once I'm done with the book. 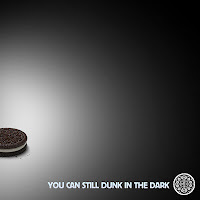 Collegiate Athletic Success as Advertising: Is it Effective? I estimate the impact of athletic success on applicant quality and quantity. Overall, athletic success has a significant long-term goodwill effect on future applications and quality. However, students with lower than average SAT scores tend to have a stronger preference for athletic success, while students with higher SAT scores have a greater preference for academic quality. Furthermore, the decay rate of athletics goodwill is significant only for students with lower SAT scores, suggesting that the goodwill created by intercollegiate athletics resides more extensively with low-ability students than with their high-ability counterparts. But, surprisingly, athletic success impacts applications even among academically stronger students. The findings surely will provoke some interesting debate. Note that Chung finds that going from good to truly great in NCAA football, for instance, can cause applications to rise by nearly 20%. It takes a significant move in other areas of a university to achieve a similar impact. For instance, Chung estimates that a college would have to reduce tuition by nearly 4% to get the same rise in applications, or it would have to recruit higher-paid, higher-quality faculty. What's interesting about this analysis is that some will say that the cost of athletic success outweighs the positive effect on applications. That's potentially true. However, Chung shows that there is a cost to other ways of driving applications higher as well... so it's not immediately clear what methods are most cost effective to increase application quantity and quality. Of course, we have to remember that athletic success can be very difficult to achieve, and it can be fleeting at times. Schools may spend a great deal of money and never get to the "great" level required to get this type of increase in applications. Over the past few years, we have heard a great deal of conversation about the inadequacy of traditional business plans. The lean start-up movement has argued that we should focus on developing a basic business model, testing out our ideas, and then refining them through a process of enlightened trial and error. We should not over-emphasize a lengthy, drawn-out planning process. The lean start-up movement emphasizes the notion rapid prototyping. This approach has many merits. On the other hand, I think we can go too far in diminishing the importance of a business plan. 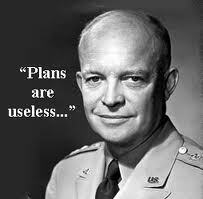 Dwight Eisenhower once said, "Plans are useless, but planning is indispensable." In other words, the process of thinking through an issue and developing a strategy can be very useful. The mistake that many people make though is becoming too wedded to that original business plan. A process of research and analysis can be productive, but it must lead quickly to a rapid prototyping phase. We have to take action, and learn from that action. However, we can't just leap without any spade work. For the Wall Street Journal, London Business School Professor John Mullins has written a great column exposing some of the many problems with traditional business plans. For those interested in learning more about this topic, I strongly suggest reading his essay. My former graduate school classmate, Martine Haas (now a professor at Wharton), has written a new paper exploring how peripheral knowledge might impact breakthrough innovation. Haas describes peripheral knowledge as information and ideas that may not seem pertinent to a particular task, that are outside of that technical domain. Haas argues that that peripheral knowledge drives innovation through two mechanisms: transplantation and perspective shifting. Haas defines transplantation as "the direct transfer of artifacts, technologies or practices from peripheral domains into core domains, with or without some modification." Perspective shifting means that " expertise or experience in a peripheral domain leads work group members to see a problem in a core domain differently, thus revealing new solutions." Haas and her co-author, Wendy Ham, go on to argue that having more one person exploring a peripheral knowledge domain can be helpful, but of course, that takes scarce attention away from the specific task at hand. In short, it's a balancing act: How much time should we spend focusing narrowly on the task at hand versus moving outside of that area to explore potentially, but perhaps not very useful, topics? One last challenge: Which peripheral domain will be most useful? Well that's a tough one. It's difficult to know in advance. However, I do think groups can be purposeful about peripheral knowledge accumulation. At leading design firms, they think carefully about related domains that are worthy of exploration. They examine industries or products that might be in some way analogous to their current project, and then they explore those areas. Stepping back at the start of a project to think about potentially useful peripheral knowledge could be a key step in an innovation team's work.